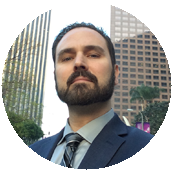 Ring Monsters And Other Deposition Exhibits | Todd Olivas & Associates v3.0 | Court Reporting Services in Orange County, Riverside, San Bernardino, San Diego, Los Angeles, Irvine, Santa Ana, San Jose, Sacramento, Fresno, San Francisco, Bakersfield. TO&A employs no court reporters, interpreters or videographers of our own. The providers we send are fully qualified and reliable independent contractors. We were recently working on some exhibits for a construction defect case. The original exhibit for this deposition is this bulky, 3-ring bound monster with color exhibits, custom tabs, photographs, diagrams. Basically, the works.Per Counsels' requests, we were to duplicate the beast exactly. Claws and all. Even down to copying the Walgreens picture envelope and receipt. As a court reporting firm, we are always listening to our clients and attempting to serve them the best we can. The photograph above shows the project during production. Three hours and lots of toner later, we finished it up. Then I read an interesting article from Lawyers Right Hand -- our friend the Mystery Paralegal Blogger -- regarding just such a topic. She writes, ...anytime I get exhibits in a big old ring binder, the first thing I do — in addition to muttering under my breath — is wrench them out of the binders and place them into redwelds. The exhibit number tabs you insert are great, because that means all I have to do is divest myself of that pesky binder and transfer everything to a redweld. It’s even nice that you took the time to 3-hole punch the exhibits, because maybe one day I will want to put them in a binder — or, more likely, three or four reasonably-sized binders. After reading her post, she would surely hate my exhibits for this job. And to be honest, we are no fans of spending hours and hours slaving over a hot Xerox. Still, in our defense, for this case the clients asked us to produce the depositions in just this fashion. What's a court reporter to do? She continues with the bare-bones truth: The reality for modern-day law firms is that the hard copy of exhibits we get from the court reporter goes into the file and never gets looked at again. Ouch! Do you mean all our hard work gets shelved. Literally? And all those trees that got cut down to produce those beautifully tabbed exhibits? What a waste! (Al Gore would would frown on this sort of thing.) We are with her when she lauds the use of PDF exhibits. Any way we can, we attempt to go paperless these days. Hopefully others in our industry are following suit.